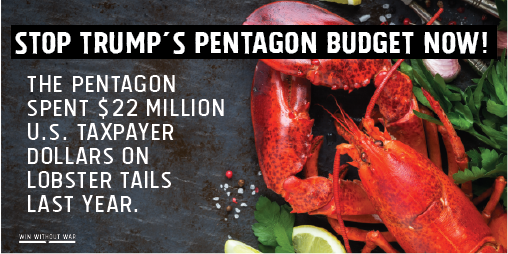 This week, Trump asked for a $34 billion INCREASE in Pentagon spending, on top of the $716 billion they’re already clearly spending so prudently. Trump’s Pentagon budget is wasteful, and does not reflect the priorities of communities across the United States. As your constituent, I ask you to stop rubber-stamping increases in Pentagon spending!